Mountain View-Los Altos UHSD Selects School Nutrition Solution, eTrition! Harris School Solutions is excited to welcome Mountain View-Los Altos UHSD to the Harris family! Mountain View-Los Altos UHSD is located in Mountain View, CA and they serve approximately 4,000 students. They will be implementing eTrition SaaS, our cloud based solution along with EZSchoolPay.com & EZMealApp.com. 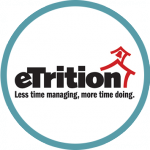 eTrition SaaS is hosted by Harris, so we will be responsible for updates, backups & maintenance of the system, saving Mountain View-Los Altos UHSD time & money, which will allow them to operate more efficiently. SmartFusion is the School Financial Solution of Choice for McCormick County Schools!